Graduated from Iranian Studies at Jagiellonian University and holds postgraduate certificates in Diplomacy and International Relations from the Jagiellonian University. Graduated from Iranian Studies at Jagiellonian University and holds Postgraduate certificates in Diplomacy and International Relations from the Jagiellonian University. Publicist and interpreter of the Persian, Dari, Tajik and Pashto language. Founder and editor-in-chief of Afghanistan24.org. 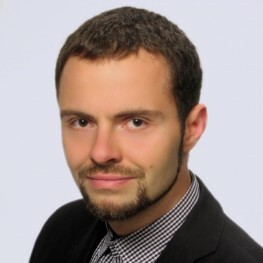 Since 2009 PhD candidate at School of International Relations in Łódź. Author of the blog gajda.natemat.pl.